Since we finally got our Christmas tree put away and my fortieth birthday has come and gone, I thought I'd take a minute (Who am I kidding? It took for-freaking-ever to gather all of these photos and links) to consider the lessons I've learned in this last year of crafting and where I would like the next year to take me. Lesson #1 ...Block your swatch… I hear this phrase to the tune of Volga Boatmen as I work the swatch or else later when I'm full of regret that I did not work the swatch. Every…single... time. Go ahead and click that link, if no other. If you're a knitter you will totally get it. I think I have finally gotten the message. I think. 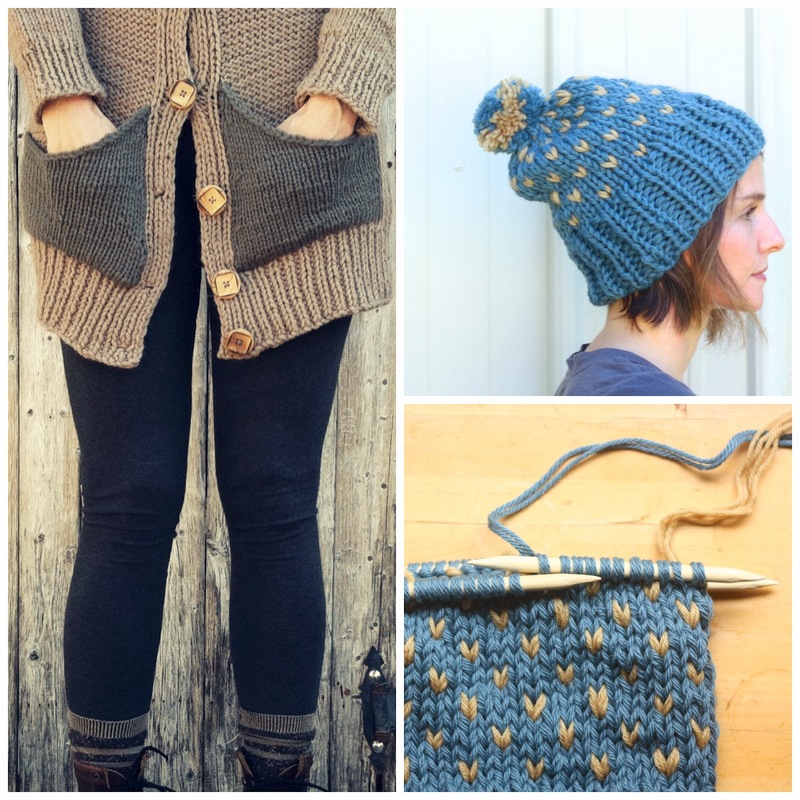 Knickerbocker Tee was a prime of example of re-knitting just because I got lazy with gauge. That sweater, along with Ravello and Scallop of the Sea were also my first proper introduction to super wash wool. Lesson learned? #2 Knit superwash to fit as-is if machine drying, or else knit it micro-mini to hand wash and block. #3 Sometimes enjoying your craft is more important than getting it right. So if I have to slightly change an element of a design to keep from re-knitting it a million times, I'll do it to preserve the initial inspiration and creative joy the project holds. That was the case with both Ravello and Sothern. With Sothern I gave up on a more gathered shoulder and did what I was able to do to enjoy it right away. With Ravello, I ran out of MC yarn and had to do a couple of contrast stripes at the bottom. It doesn't look bad, but I wouldn't have done it were it not a necessity. By the way, I haven't posted FO photos yet because I have since decided to lengthen the sleeves from three quarter and am waiting on yarn. Tweaking like that is easy and makes me feel extra clever on a day where my only accomplishment might be making polka dots on a hat, which is what I did to the Elora toque and by adding contrast pockets to Inland. It's just an added shot of color, nothing ingenious; but look how much fun it is. #4 So I say, if it makes you feel good, tweak away! These little embellishments are the perfect way to use up old scraps and stash. #5 I've been trying to use up my scraps while they're fresh off the needles. Otherwise, I'll squirrel them away in some little nook where they get lost and multiply, and I'll buy more yarn in the same color, unnecessarily. 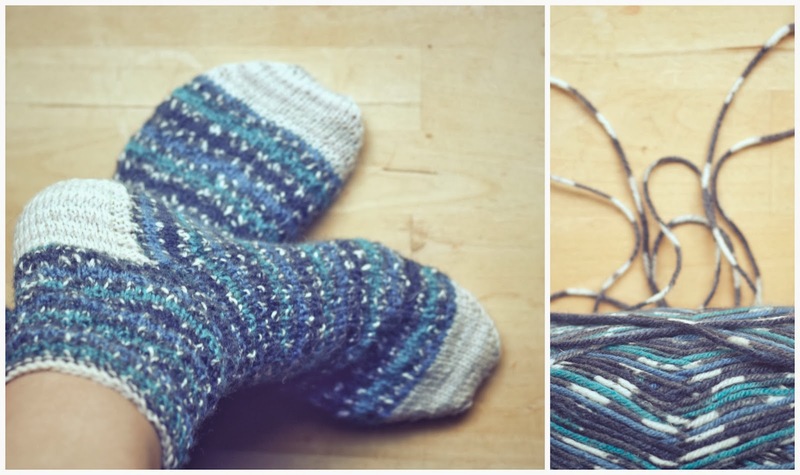 So, when I finished my daughter's Arbutus, I immediately cast on for the Mine All Mine boot cuffs. I ended up using two different scrap colors for them. In the coming year, I'd like to use project leftovers immediately for an ongoing pompom garland and keep swatches for a swatch blanket. #6 Every once in a while you just need to show off. And that's exactly what I do every time I wear Henri, Sothern, or Nachtfalter. 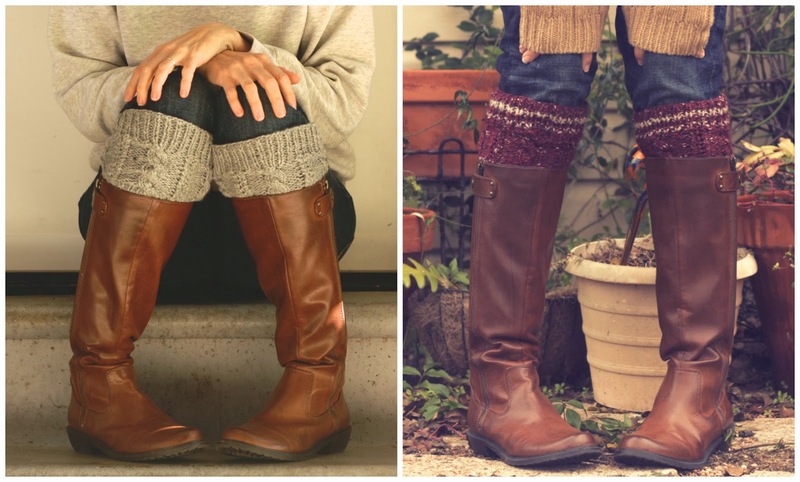 Yep, I wear two and three hand knits at a time. Picture a sweater with a cardigan and three cowls. I saunter through a room more slowly, turning this way and that. I adjust my sleeves, lifting my arms right in people's faces, "Whew! 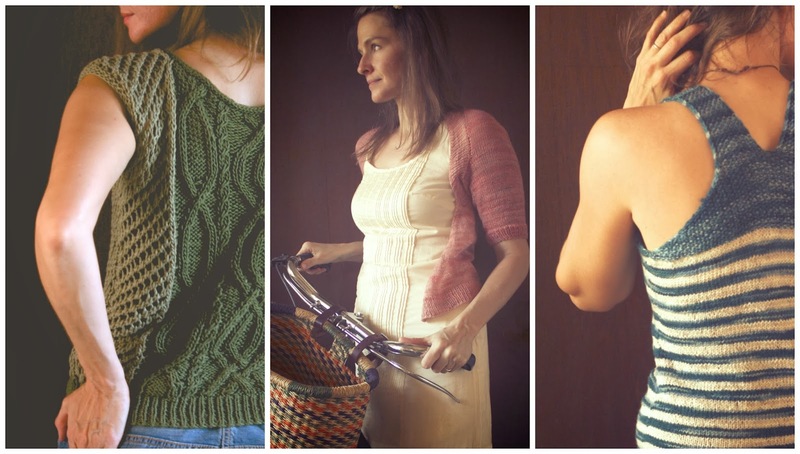 These hand knits sweaters suuuure get hot…" And that's in July. #7 Showing off with fancy knitting skills must then be followed by something bulky or stockinette. Okay, maybe not immediately, but I find I need to unwind after a particularly taxing challenge. Liwen and Agnes provided just the mental break I needed after cables and lace. 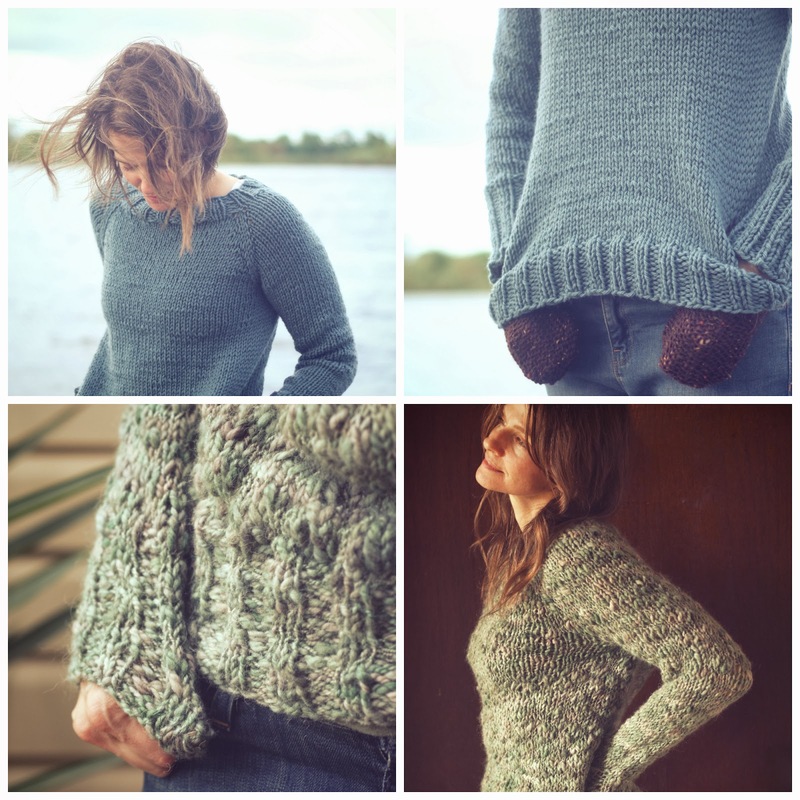 Nachtfalter wasn't just a fancier knit to me, it was also part of my embracing my climate. I know I said I wear three knits at a time, but truthfully, I barely wore any winter knits last year because we had a nonexistent winter. All the wearing was happening in my mind. #8 I did find I really like knitting for summer. I had only done a couple of warm weather projects before this year. After the Lady Bats, Harnett tank, Just Campy, Downton Cardigan, Belleville Shawl in cotton, and On the Beach headband, I am a complete convert. This is a step in the right direction for a southerner in denial. Next up: Reef Knot, Riverine, a shrunken Meeting Point, and a certain beach cover up I saw a preview of. 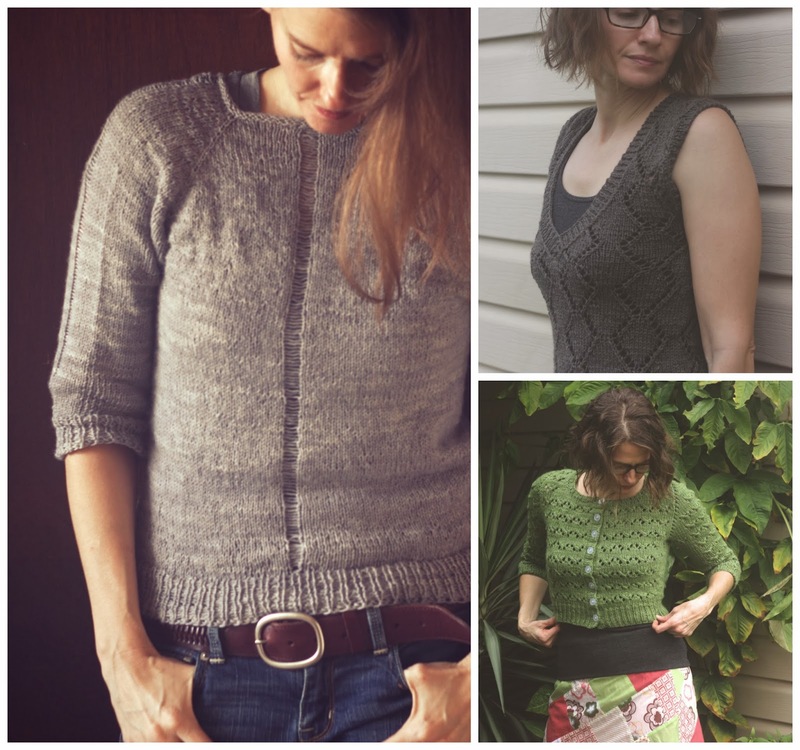 #9 Making multiple knits from a collection is pretty gratifying. 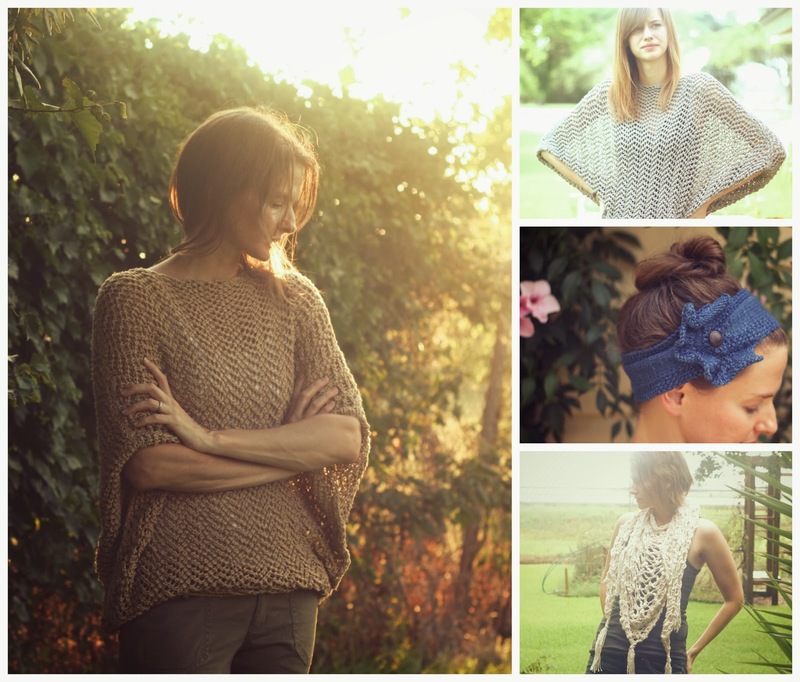 You can see that this summer I knit several from the Holla Knits Summer collection. 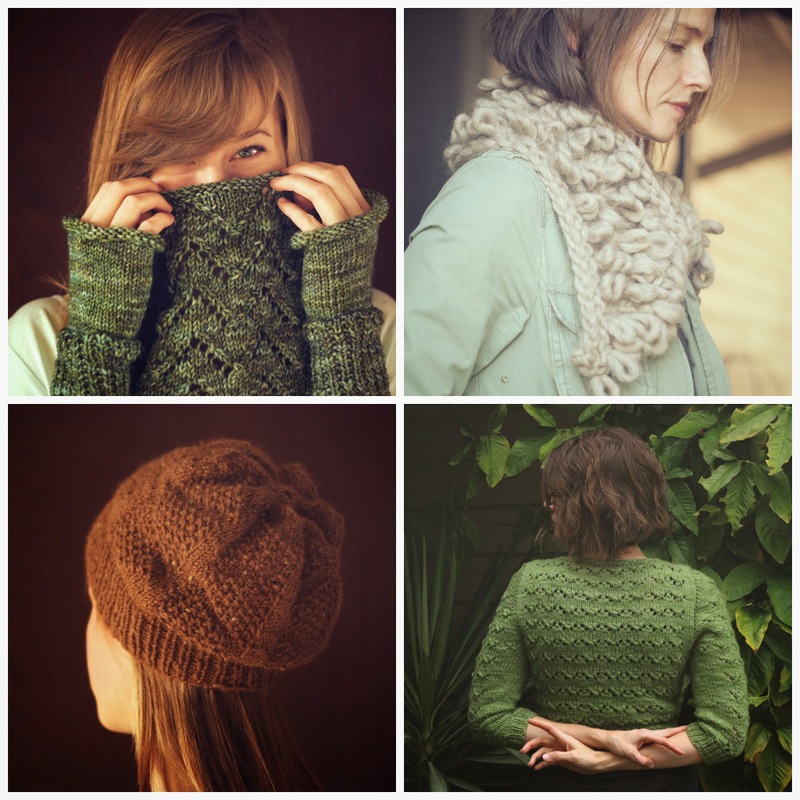 If I complete El Matador, Julep Jacket, and Meeting Point , as I plan, for their upcoming knitalong, I will have knit all of them. For some reason this pleases the OCD in me. 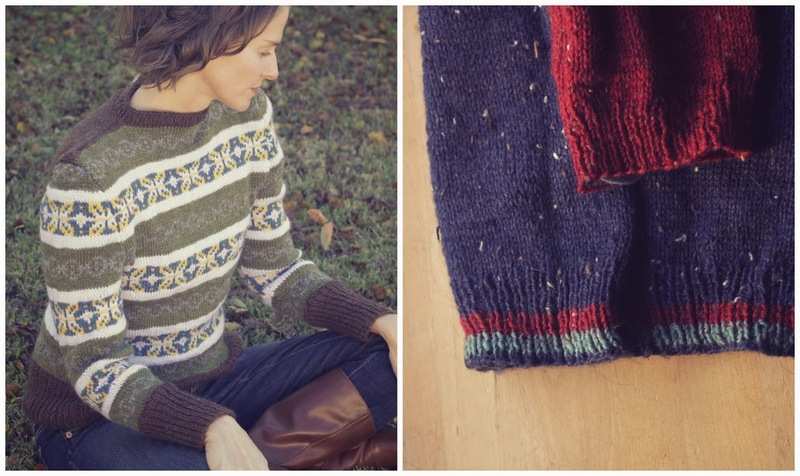 I knit up two Markham Collars along with Belleville and Elora from Good Night, Day's knitting books. This year I would like to knit up the Kingston sweater from the same collection. I actually have enough yarn to knit the other Island patterns that go along with Arbutus. In the same obsessive fashion, I am two knits into Journey and have yarn for two more. #10 Make unexpected stuff. Like a Leia head, or knit shorts, or a Jayne hat. Next up: leggings and, if I go to the Austin comic con, an Ood Snood. Oh, and I finally received Doomsday Knits! Can you imagine Fallout with the gas mask? #11 Block it like Stretch Armstrong. This has saved me from re-knitting and endless yarn rush orders. It's simple- I soak the knit then yank on the hem for all it's worth. It gave me a couple of inches on Inland, an inch on Il Grande Favorito, and an inch and half on Ravello. Magic. #12 Save the swank for accessories. I cannot knit an entire sweater in Madelinetosh, but I can wear one in Wool of the Andes with Madtosh arm warmers. This year I invested in a little Blue Sky Alpacas for one of my Markham Collars, Madtosh for the Downton Cardi and Downton Cowl, and a skein of Indy Hayden from Red Comb Vintage for a Dreiecke. I also scooped up some of Laura's discontinued Gynx Organic Merino in several yet-to-be-used color ways. I did, however, have enough of one to actually knit a whole sweater. #13 I always say I won't knit gifts, but I always do. I may as well plan a few in advance this year. #14 Socks are not the end of the world. I knit Hermione's Everyday Socks and lived to tell the tale, so I figure I'll get at least one pair of Climb socks off of the needles this year. #15 I like theme knitting. That is, I like watching Downton Abbey when I knit a Downton sweater or back-to-back episodes of Firefly when I knit matching Jayne hats. I re-watched all the David Tennant episodes of Dr. Who when I was knitting Blink. The BBT KAL was the perfect excuse to watch marathons of The Big Bang while knitting up my Bernadette Cardigan and Penny Vest. Some women throw themed parties and wear Christmas sweaters, I do this. I have a few themed knits I'd like to try this year, like the Heliopath Vest or a gigantic Wash's Sweater. 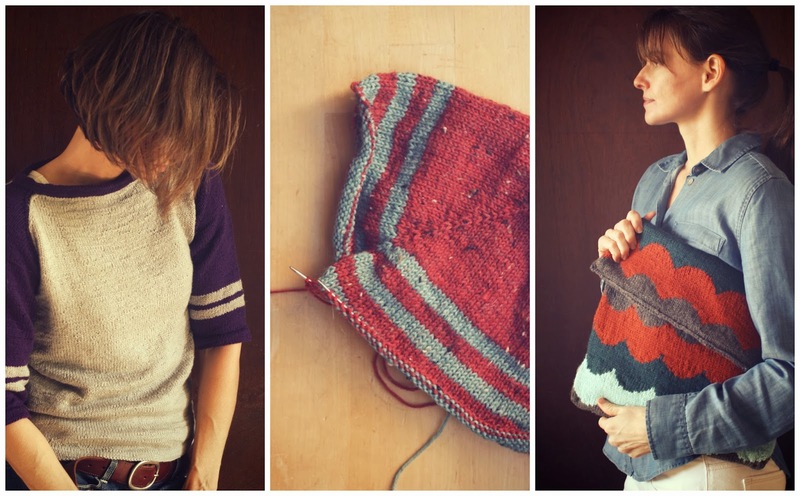 There's also a Holla Knits Knit Everything KAL that I'm definitely doing. My only other crafty goal was to change my blog header, which I sort of did accidentally the other day. And this time it only took me an hour instead of the usual day long search for the snippet of code I used the last time only to find out blogger made it much easier a few years ago, and then I remember that I'd searched all day the year before only to realize it was now very simple. I do that same thing year after year. Sigh. 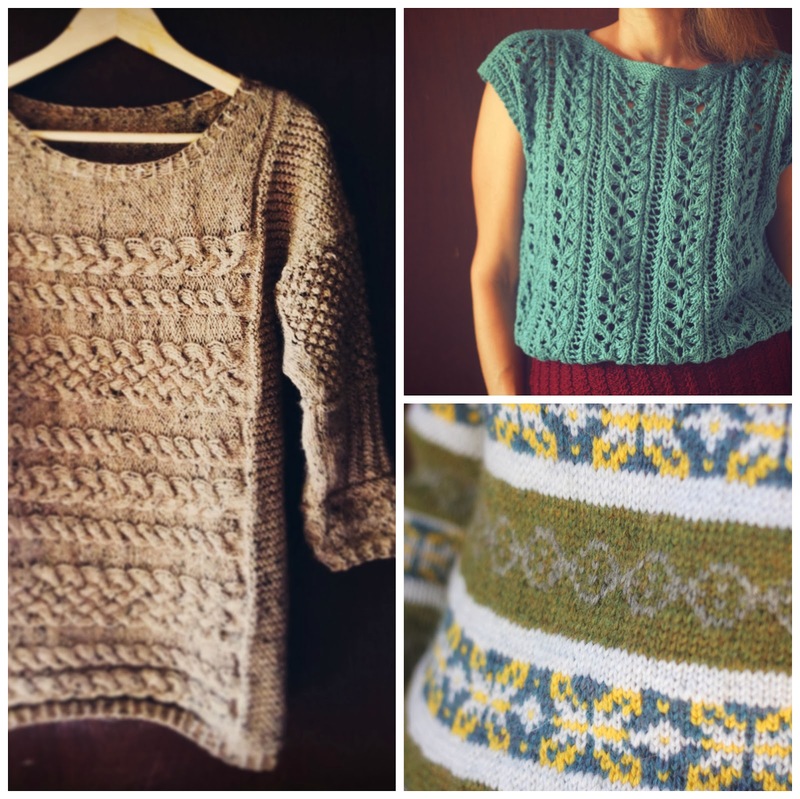 If you reaaaallly want more linkage, here's my Ravelry, Flickr, and Kollabora. Wow, what a good knitting year! 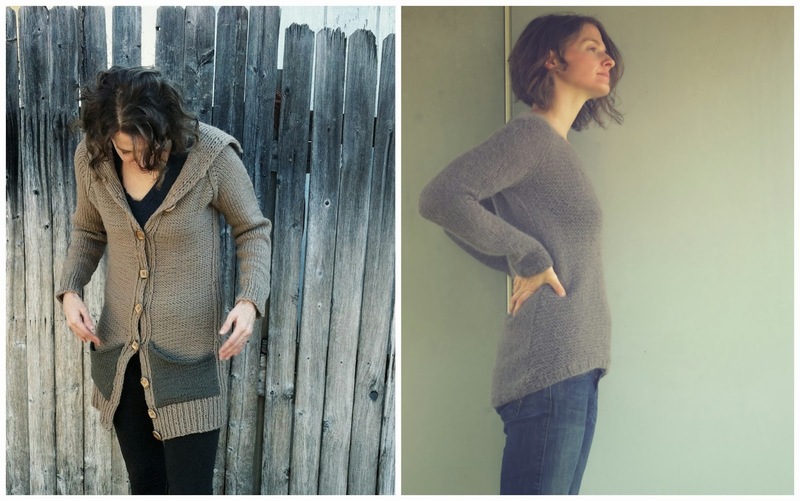 I loved reading this post, and nr 6 made me laugh so hard :) my bf was looking at me like I was crazy so I had to read it to him and it made him smile too :) I'll be joining you for the Holla Knits knit-a-long, with a crash sweater! 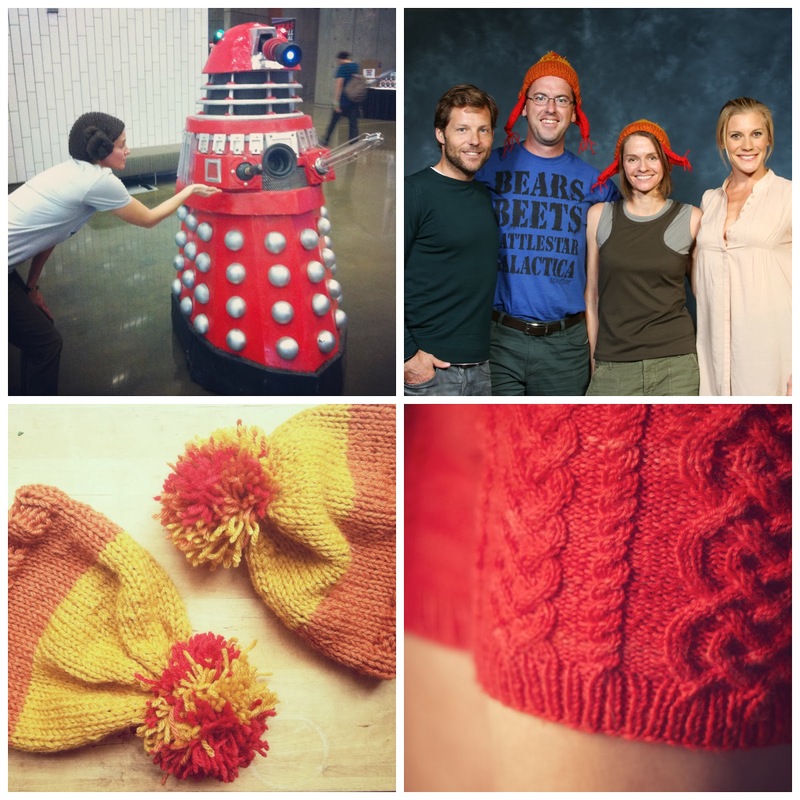 Your projects, your knitting, your photos! SO inspiring! Oh my, you've must have spent aaaages on this post! ;-) But I like it! You're so inspiring! It seems like you knit while sleeping, where do you find the time to knit all this? I am SO impressed with how much you've managed to knit this year!!! And I have to say I'm loving the new header!! You are so wise! I to have learnt the hard way the difference between super wash yarn and hand wash yarns. I now know I need to swatch and wash said swatch. It always seemed like a waste to me, but I love your idea of a swatch blanket. I'm very happy knitting away mainly with my Knit Picks yarns, but rarely use any of the nicer yarns I've socked away. I realized after reading your post that I must be on a theme knitting run too as I've made 4 of Isabell Kraemer's designs and have the yarn and patterns for 11 more and a healthy list of Jane Richmond patterns ready to go. You decided to update your banner, I decided to finally start putting photos on my Ravelry project page! Oh how I wish they were more like yours, but I guess I have to start somewhere! I've been inspired, thank you! Thank you, Annie. I could totally say the same to you. I love that so much of your knitting reflects the season in your life- babies and little ones!!! I didn't really knit much when mine were babies. So sad, because baby knits are so quick and they don't have much choice whether they wear it or not :). The sweetness of your family life on your instagram feed constantly inspires me. Thank you, Caitlin, but I don't know if its about accomplishing a lot as much as it is about escape. I seem to lean toward sweaters when choosing projects. I think I'll do more accessories this year, as I have so many hand dyed skeins in small amounts. I also want to get that shawl knit before spring. You have been knitting lots of accessories. I love your thrummed mittens and zigzag wristwarmers. The wristwarmers look almost woven, so unique! Oh, Sallock, this year I have knit while sleeping... And instead of sleeping. Knitting is my version of pacing around when frustrated or anxious. At least I have something to show for those times. Of course, knitting is also what I do when I'm relaxed or at peace, so there was some of that behind all the finished objects too. Thank you, Lillith! And only took me an hour! As I've said in other comments, I'm not sure it's entirely healthy that I knit this much. I'm actually going to try to get more sleep this year. Maybe I'll learn to knit faster to compensate. Btw, I'm definitely knitting Sexxxy Librarian for the HK KAL. I've had the city Tweed set aside for it forever. I'm so excited to be doing it. Yay, Veronica!! Your color sensibility applied to knitting will be awesome! 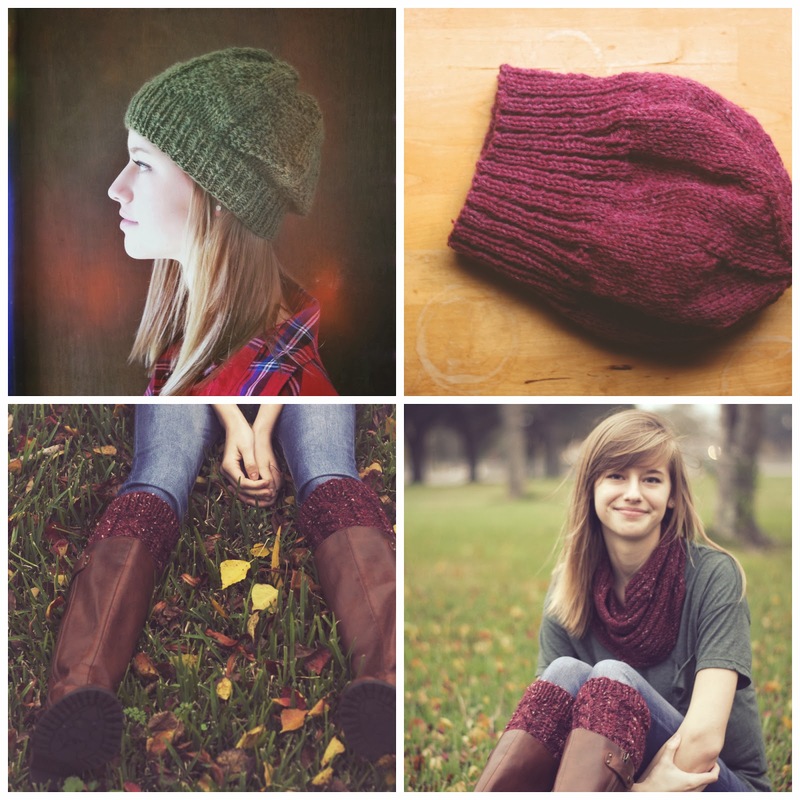 You might consider Signing up for a Ravelry account. The search options can get so specific it is almost overwhelming but there are lots of "stashbusting", "scrap" shawls for inspiration. 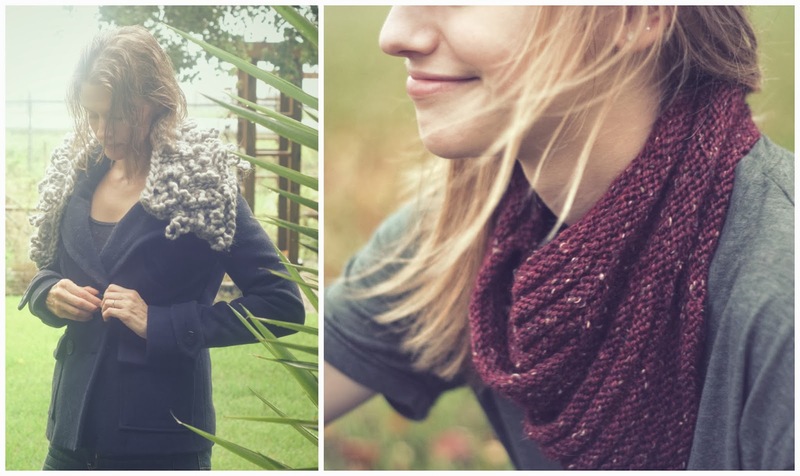 A shawl is a great beginning project. Why have I put off knitting one this many years? I mean, I knit a mesh lace shawl this last year, but it's more ornament than fabric. So, you may be joining me for Year of the Shawl! Terri! Your FO photos are great! Your Ravello is lovely. Very wearable colors! I just got yarn to lengthen my sleeves on mine. I don't really like the band of color I put at the bottom, but I think I'm going to leave it because I didn't order more of the blue yarn. Even with that stripe I can tell I'll love the lightweight feel of the stroll Tweed. It's very comfortable. How do you like it? I'm using a dark blue for the main colour and haven't picked out the other colour, I was thinking of making the main sweater first and then decide what colour to use. Since I keep changing my mind.. Looking forward to your next makes!